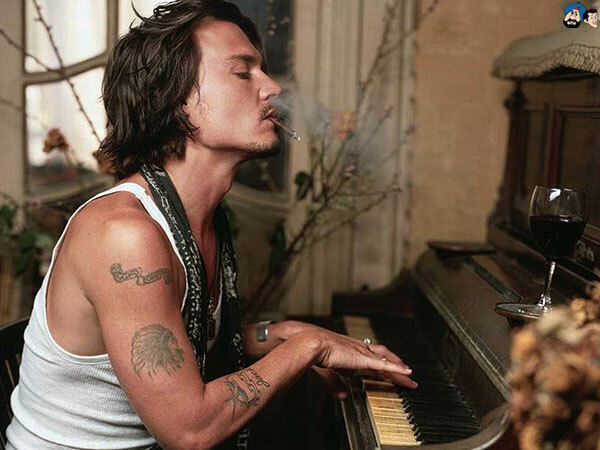 Johnny Depp is one of the most popular actors in Hollywood. He is also a musician and a producer. He became a teen idol after landing a role in the 80’s TV series 21 Jump Street. Depp was married to Lori Anne Allison from 1983 to 1985 and was in a relationship with Vanessa Paradis from 1998 to 2012. He tied the knot with Amber Heard in 2015 but divorced in 2017. Aside from acting, another thing that the actor loved was tattoo. 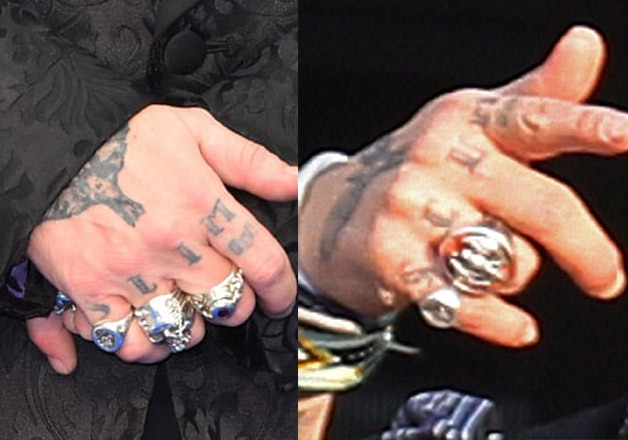 You could see that on the several Johnny Depp tattoos. Johnny proposed to actress Winona Ryder in 1990. He had the famous tattoo “Winona Forever” on his arm, which he later on covered up with the words “Wino Forever” since they broke up. A Cherokee Indian chief can also be seen on his arm. This is a tribute to his native American roots as he believed. While he considers himself to have a native American heritage, there’s no genetical proof that it’s real. The name of the actor’s mom is Betty Sue and he had it tattooed on his left arm, which was written inside a heart. Above the tattoo of the heart with his mom’s name in it is an inverted triangle tat, which others believe has political significance to him. The 54-year old actor appeared as an American Indian with Marlon Brando in the 1997 movie The Brave. He had the movie’s symbol inked too. 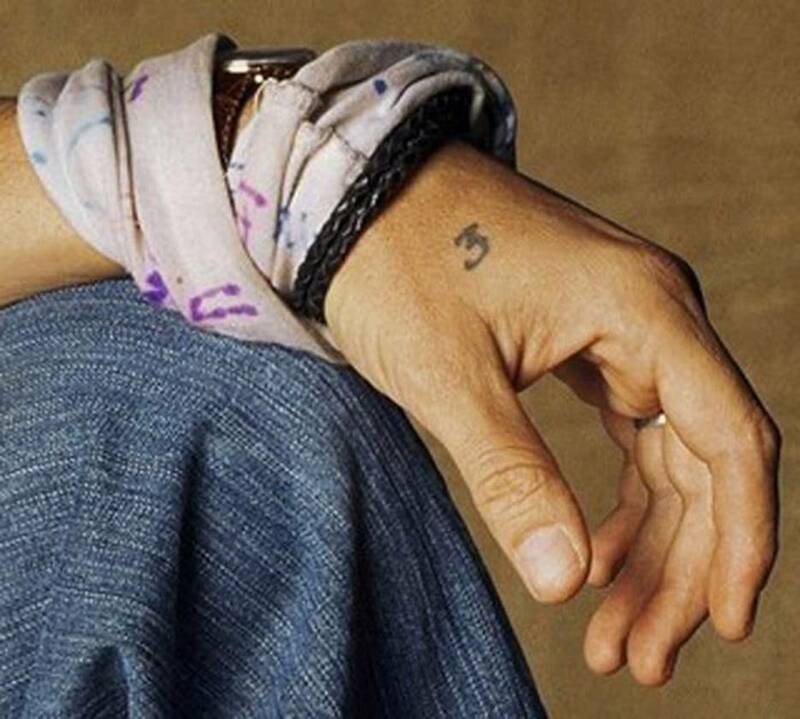 The actor has a number 3 tattooed on his left hand. According to him, it was a special and magical number. He said that it meant triangle or trinity. It seems like his liking on things about trinity and the number 3 may also be the reason he also has three triangles inked on his index finger. Depp and ex-partner Vanessa Paradis had a daughter named Lily Rose in 1999. He had her name tattooed on his chest close to his heart. He also had a tattoo that was inspired by his movie, Pirates of the Caribbean: The Curse of the Black Pearl, which was shown in 2003. 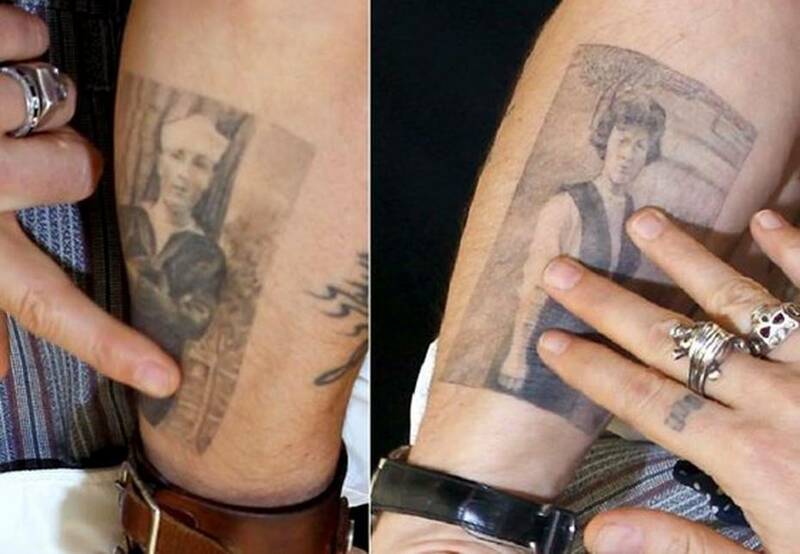 Depp shows great love to his family as he had the picture of his mom tattooed on his arm, and the picture of his grandfather inked on the other arm.